We are stoked to have Sarajane Bilston from Bella Jay Productions as a fellow co-worker this week. 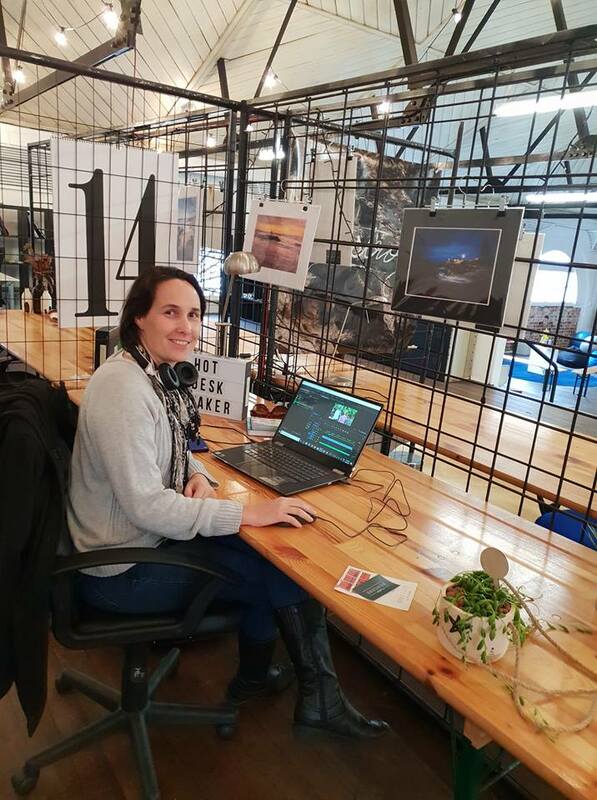 Sarajane was the lucky winner of the free coworking for a week competition here at Maker + Co.
"As a freelancer, I love doing work that involves the written word, videography, video editing, and arts events. I just want to be creative and have fun doing work I love! I’m loving finding my creative feet in the evolving artistic and creative community that exists in Bunbury, and the South West of WA. What a beautiful place to live & work! A huge thanks to Maker + Co for having me this week and for providing a vibrant space to work from!" Say hi to Sarajane via her Facebook page Bella Jay Productions, phone: 0401054672 or email sarajane@bellajayproductions.com.au. Your next project or event may be just that little bit more special with Sarajane's magic touch!